Remoty is a Florianopolis-based startup who created a mobile app for users to monitor and access their home security systems anywhere. Me and the Remoty team have worked together multiple times, adapting the look and experience of their B2B product for different companies. This project consists of us going through a discovery-oriented research after multiple client-requested iterations to provide a better experience for the B2C Remoty app. My role here was to complete an User Research study to guide future improvements and find innovation opportunities. To lock and unlock doors, set alarms, check video from cameras, the security central must communicate with the app to allow such interaction remotely. We knew this integration was complicated and included variables that depended on the devices' manufacturer to properly work. This process used to be a responsibility of a professional, but not all of them knew the particularities of Remoty, neither did the users who wanted to make this installation by themselves. We needed to find out if 1. Is the DIY setting up possible? 2. Would our users find it useful? At first we've tried to collect as much data from the app we could. But the way it had been tagged provided us with too little information about users and their problems. But we've thoroughly compiled the support emails received in the last six months with questions and suggestions. We've then moved on to sending online survey forms with questions about the current clients and their daily habits. To extend our research to potential customers, we've also compiled reviews from american security system companies looking for common motivations for good and bad reviews. Analysing the results, I've come up with two different personas based on the different habit patterns we've found. This personas were then turned into user journeys that conveyed new features the team worked together into brainstorming looking at the personas' needs. Something we've found out was one our personas had the need to feel independent, and this was an important factor to pick Remoty over a traditional security company. This persona needed guidance to set up the system by himself. Also, professionals who would wish to partner up with Remoty could benefit from some sort of training. While mapping the configuration steps, we've discovered they had to be very descriptive because part of the input was on the app screen, but most of it was on the security central pad. I've tried to conceive the steps as a wizard assistant at first, but with some quick wireframe prototypes the happy journey would have at least over 20 steps. We needed something more flexible and organic than that. Then I've turned into making a benchmark of chatbots that served as helpers in the onboarding process. I compared to wizard interactions and concluded we needed to test out a conversation flow before jumping into conclusions. So we've worked on the most simple simple setup step-by-step to see what it could look like. What's great about this solution versus a wizard is that it provides just enough interaction for experienced (professional security maintenance) users and at the same time very detailed steps for inexperienced users that are independent but don't know much of the particularities. This is still an ongoing project but I'm looking forward to see how we are going to prototype and validade the chatbot interactions. I plan we test it separately from the rest of the app, using some kind of third-party chatbot tool to iterate on the instructions and the tone of speech. Also, a whole lot of new iterations on pre-existing features have been prototyped on paper and are ready to start testing. I'm also planning on conducting further research on the professional persona, since we've discovered along the way they are important potential partners to Remoty's business model and easily accessible for in-depth interviews. Most of my projects featured in this portfolio tell a story about how research helped me validate solutions and iterate. 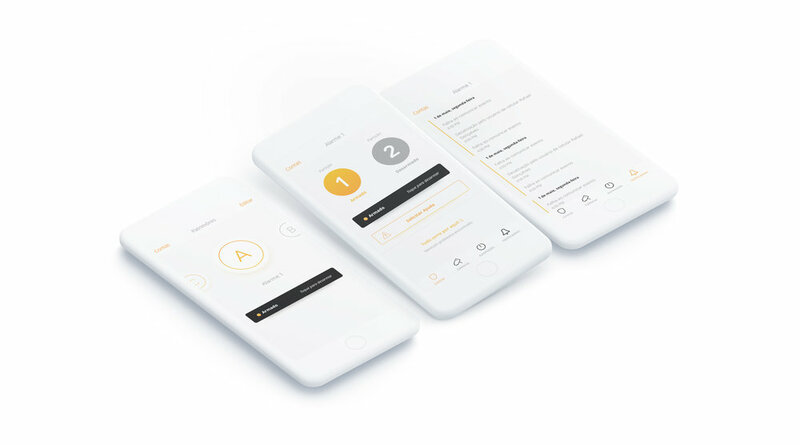 Remoty is a story about how user research can help shape a product redesign, suggesting features, solving new problems and turn the old into something enjoyable. As much as I preach for user-oriented validation, It was a great opportunity to explore the boundaries of how the methodology contributes into the business vision by getting to know our users better.